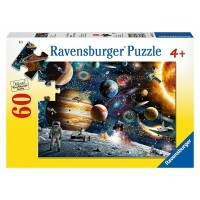 This illustrated solar system jigsaw features 500 jigsaw piece to create 2 x 3 feet space landscape! 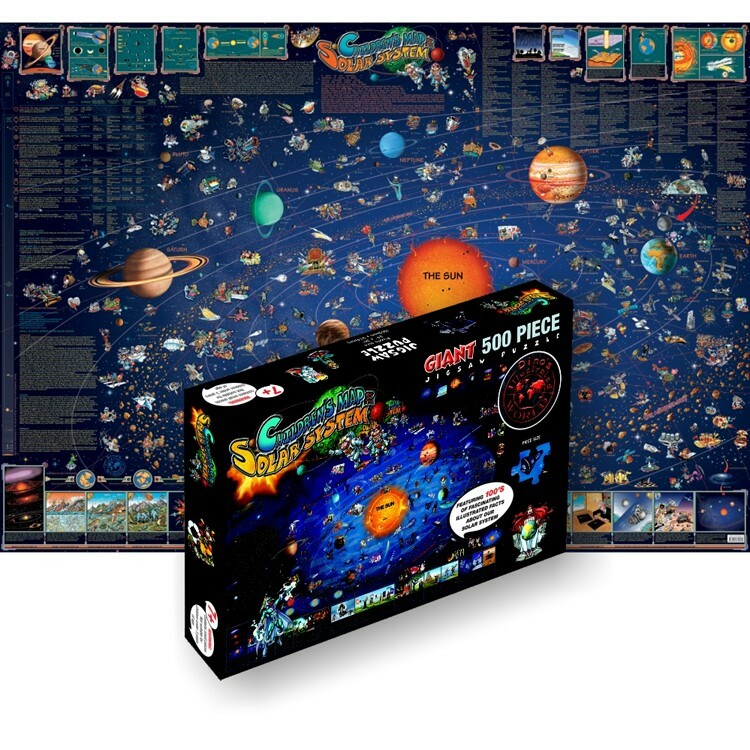 Solar System 500 pc Illustrated Floor Puzzle is another super educational floor puzzle by GeoToys. 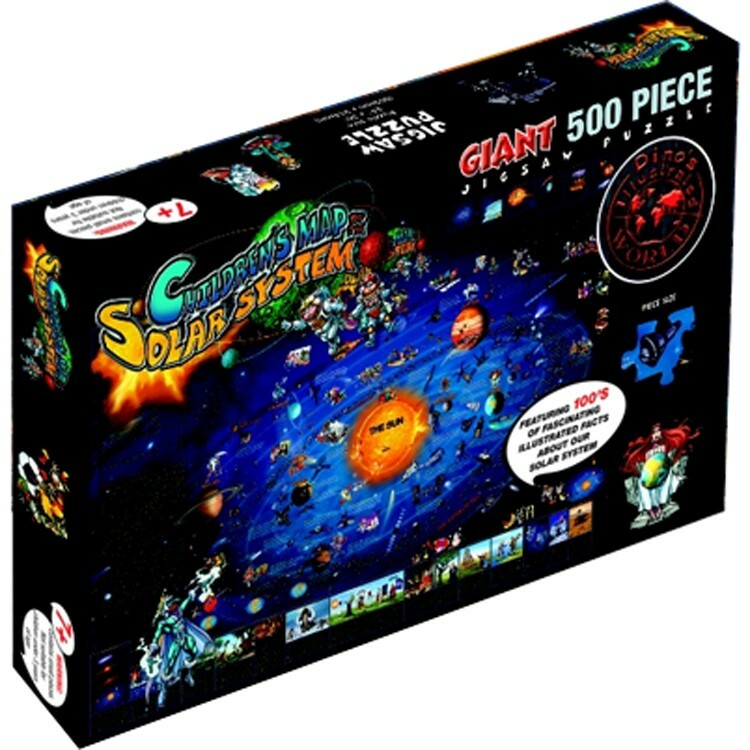 This solar system jigsaw puzzle features amazing illustrations presenting historic space events, planets, space bodies, constellations, interesting facts about space exploration, astronomy and more! Solar System 500 pc Illustrated Floor Puzzle brings tons of facts and pictures to learn from. 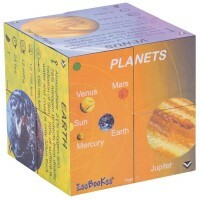 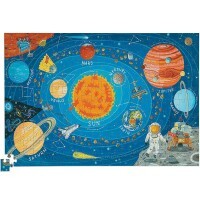 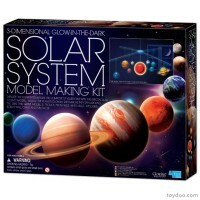 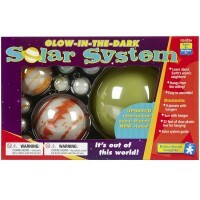 This astronomy learning floor jigsaw from Educational Toys Planet measures 2 x 3 feet assembled. 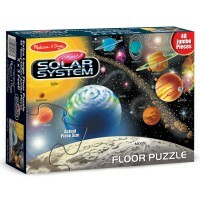 The kids space floor puzzle is made from recycled materials. 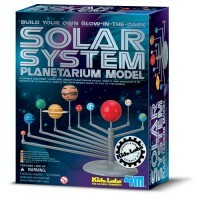 Children might glue the puzzle pieces together to create a beautiful solar system wall decoration! 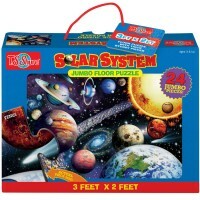 Write your own review of Solar System 500 pc Illustrated Floor Puzzle.